Francois Gouws knows just about everything there is to know about treating and delivering water on a large scale. The corporate executive has decades of experience in the global water industry; working in locations in the United States, Africa and Australia, where today he is Managing Director of TRILITY, a major Australian water utility services provider. For more than 25 years, he has been working with the communities he serves, to deliver water to their residents and businesses alike. “I’ve worked with every water technology that is available in the market through my career,” he says. In addition to managing TRILITY, Gouws is a leader in many industry groups and also serves on the Australian board of WaterAid, a charity that focuses on providing clean water and sanitation to some of the world’s poorest communities. 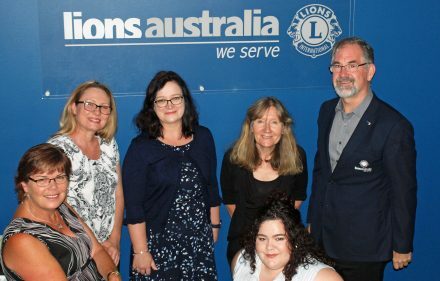 “I personally believe in giving back to the sector in which we serve,” he says about an ongoing involvement with many organisations in the utilities sector, including as president-elect of the Australian Water Association, the country’s premier industry association serving hundreds of corporate members. 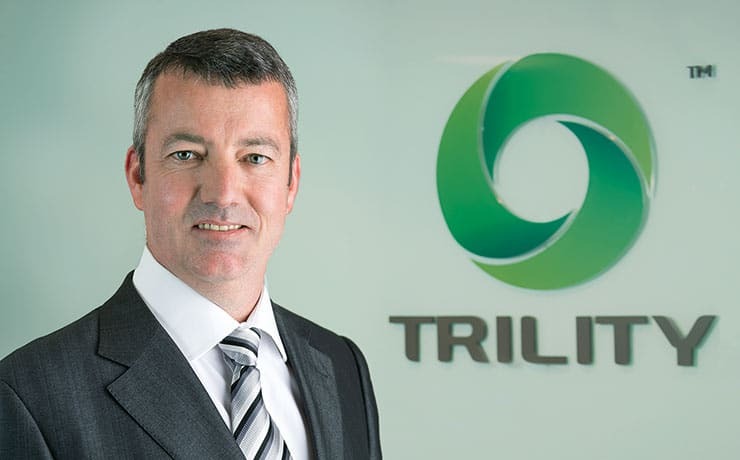 TRILITY delivers an important contribution to the water infrastructure sector, he adds. “It’s the most dynamic and most incredible company I’ve had the privilege to work with,” he says. 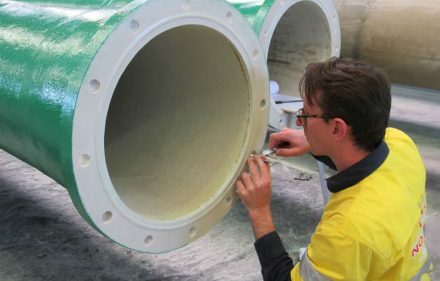 TRILITY operates throughout Australia and New Zealand, working with local government and utilities to build or manage water treatment, desalination and wastewater treatment plants, wastewater and bio solids management schemes and even irrigation networks. TRILITY began operations in 1991 and started out as United Utilities Australia, which was a subsidiary of United Utilities UK, the largest listed water company in the United Kingdom. The company grew throughout Australia for many years and then experienced an ownership change in 2010, taking on primarily Japanese shareholders. From there, the company re-branded itself and began to plan toward a future of sustainable growth in the water sector. After 12 years working with leading international water companies on major projects across the globe, Gouws decided to move to Australia where he first worked in Sydney prior to joining United Utilities Australia. His international experience, which included ownership changes, saw Gouws promoted to Managing Director at TRILITY during transition to a new parent company. Today, he is the only Australian on TRILITY Group’s Board of Directors. “We’ve got a diverse business and we’ve structured the TRILITY Group into business units,” he says. “Every business unit and the group as a whole has a number of clients.” These consist of large, publicly-owned utility companies such as Melbourne Water and Sydney Water, as well as local government entities. “Pretty much every large water utility or council-owned utility is a client in some form,” he adds. Though Australia has a federal government, water management is a local concern and therefore the responsibility of the state governments. 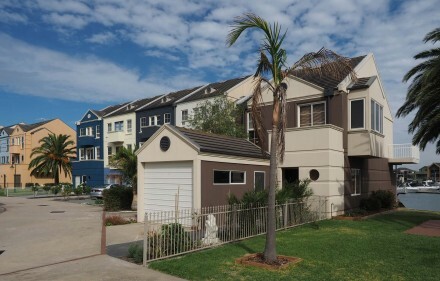 Because of this, TRILITY has been strategically positioned as a diversified company with operations spread throughout the Australian states and New Zealand. It has over 300 staff in four main offices, five secondary offices, and over 40 facilities to operate and maintain and another 800 service sites. Gouws says the TRILITY team is also very agile. Gouws says one of TRILITY’s key strengths is its ability to provide long-term solutions over the decades-long projects, not just the initial installation of the infrastructure. The company’s focus is on the science of water management and looking ahead to when equipment will need to be upgraded and replaced. “That’s how we manage to deliver optimum service over a long period in a cost-effective manner. Obviously, we do carry public and environmental health in the services we do, so [they’re] responsibilities [that] we take extremely seriously.” Thanks to this efficient approach, the company generates annual revenues of approximately $AUD150 million. TRILITY’s workforce is broken down into four main business units, each with its own unique function that contributes to the overall Group. First, there is Operations and Maintenance, which comprises employees operating and maintaining plants. “[We have a] dedicated and very capable team, operating our plants 24/7,” Gouws says of this business unit. The next group is the Asset Ownership, which is responsible for the financial and administrative aspects of the business. “Wherever we have ownership of assets, we administrate that separately,” he adds. Then there’s Design and Construction, comprising of a team of highly skilled engineers, construction and project managers that handle upgrading and construction of infrastructure at all of TRILITY’s facilities. Finally, there is Hydramet which falls under Services. “Hydramet was one of our first strategic acquisitions after we identified a gap in the Group; so we brought in a company that specialises in disinfection solutions.” Hydramet maintains 800 of these disinfection facilities across Australia and many of them in very remote locations. The four business units together with the crucial support of TRILITY’s corporate and administrative services operate as one, making for a well-balanced and integrated approach in servicing the sector. The most important thing about the businesses TRILITY runs is that they are complimentary and work well with each other to help TRILITY’s steady expansion. “We’re at our best when we can combine our business units,” Gouws says. This is TRILITY’s winning strategy in a very complex sector. Every state has a different way of managing its own water resources, so the company must be diverse, agile and adaptable to accommodate a variety of different scenarios. “It’s also a long-term sector,” Gouws says. “Aging assets; many of the networks, especially the underground systems, were constructed in the 1950s and 1960s.” He adds that this makes the water sector a rewarding yet challenging sector to work in. In addition, “it requires massive capital investment, that then […] doesn’t see an immediate payback, and that’s a challenge that the sector constantly faces.” The water sector is further cyclical and largely influenced by drought patterns. “When there’s a crisis you try to catch up with infrastructure, then by the time construction is finished, the drought in some cases may have passed.” Gouws goes on to explain that this cyclical nature of the sector also plays out heavily when it comes to its skilled manpower. The sector like so many others routinely expands and contracts, and during a period of contraction, it’s difficult to maintain the resources of highly seasoned professionals. We are always seeking new ways to better manage this transition so as to ensure sector knowledge is retained. However, looking towards the future, there is still much work to be done. Two of TRILITY’s target projects include refurbishing and upgrading old equipment, as well as finding new strategies for the reuse of water for agricultural and other purposes. Australia is in fact a growing market for recycled water. “We supply several intensive farming operations across both Australia and New Zealand with specifically reused water, and we see that together with the upgrading of aging facilities as a major driver going forward,” Gouws says. This devotion to long-term operation and maintenance isn’t the only thing that makes TRILITY a trusted company. The business has many “unique selling points.” Chief among them is their strong focus on developing staff. “We invest heavily in our people and in developing our people,” Gouws says. “When it comes to delivering services to customers, it’s the people that matter.” Because TRILITY operates in a sector where so many technical problems can arise at inopportune times, having a team of dedicated employees who are very passionate about what they do is an invaluable asset according to Francois. It’s that positive culture and environment that truly fuels the company. Another unique selling point is TRILITY’s commitment to technical excellence. “[We have] a culture of continuous improvement,” he says. It’s a company that is quick to analyse new ideas brought forward by its employees and implement them as soon as possible. Further, this idea of constant, never-ending improvement permeates across the entire business. TRILITY is a diverse company, which greatly benefits clients because the organisation as a whole can handle nearly every aspect of a given project and maintain what they have built over the long-term using innovative methods. As a large company, TRILITY has been involved in many such projects, but a few of them are notable in that they illustrate the company’s ability to innovate in diverse situations. For instance, TRILITY is responsible for the “impressive treatment plant” outside of Perth that services the scheme delivering water to Kalgoorlie. It is the first privately-owned water treatment plant in Western Australia. TRILITY and its partners received numerous awards for an innovative approach. The project required over $300 million in initial investment with a contract to manage the operation for 35 years. Another example, at the very northern tip of Australia, is a facility in Bamaga. Though TRILITY did not build the facility, the company staffed it with local and committed people to run the plant. “They are extremely dedicated employees and incredibly skilled at operating a plant in such a remote location.” The area is so remote that during the rainy season it can take days for trucks to get to the plant. However, as Gouws proudly asserts, rural areas are TRILITY’s bread and butter, and they excel at serving these kinds of locations. 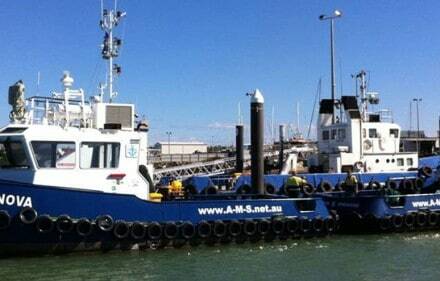 TRILITY also has a large contract in the Macarthur region with Sydney Water. Also a privately owned plant on a 35-year management contract, the facility handles very large volumes of water before it is distributed by Sydney Water to its customers. Over in Victoria, TRILITY has a bio solids facility that serves as a prime example of sustainability within the water sector. It turns waste into bio solids that then are reused as fertiliser. “We truly believe that’s the way of the future,” Gouws says. Aside from the examples above, TRILITY runs dozens of plants in rural and remote areas. “Once we install those plants, the communities have immediate benefit—from drinking river water, to drinking world-class water,” he adds. “We consider ourselves part of the community, because we are there for the long term — we avidly believe in supporting the communities in which we serve by way of employing locally and giving back by supporting various local community activities and events”. Getting to this point is not easy. There are many challenges that the utilities sector faces, which is why there is such a high barrier to entry and thus requires a solid and proven track record. “You can imagine [that] to come up with a solution of what it’s going to cost to treat water over 35 years means you have got to completely design and completely negotiate a contract in order to get to the final dollar treatment cost,” he says. Even just the planning aspect can be costly, especially since it must be projected well into the future and take in to account inflation and other factors. Attempting to predict when equipment will eventually fail and need to be replaced is also a huge challenge. Anticipating how the sector might change requires a lot of experience and expertise. Find out more about Trility by visiting www.trility.com.au.